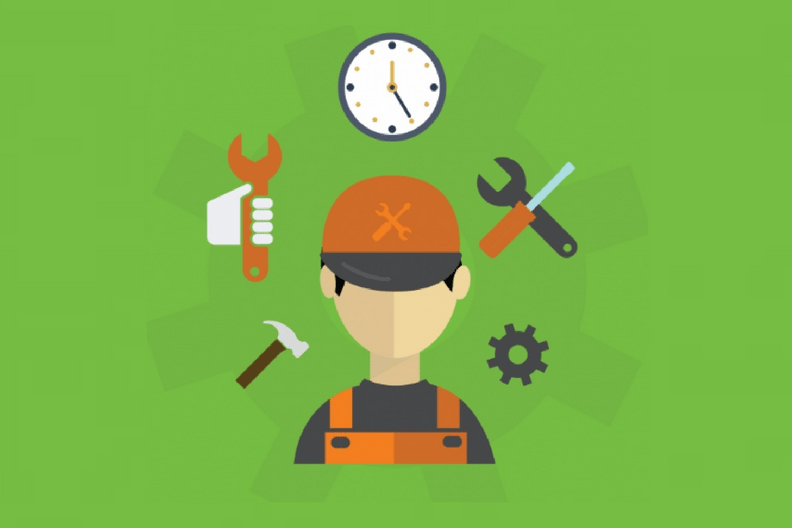 An Extensive List Of Top WordPress Maintenance Providers And What They Offer! Blog Top WordPress Maintenance Providers And Why You Need Them! Update: 31st March 2017 – Added many more WordPress maintenance providers and support companies to the list. If a WordPress website is important to your business, directly or indirectly, then your most important need is most likely going to be peace of mind. While you concentrate on your business, you would want the website to run smoothly. If you happen to make money directly off the website, it’s even more critical to have the uptime monitored and the site backed up regularly. If you run marketing campaigns, then most likely you’re experimenting with landing pages, new plugins, and integrations. Doing all of this on your with WordPress is easy, but needs time and effort depending on your skill level. But if you’re a smart business, the non-core areas will be outsourced to experts like your accounting, payroll processing etc. Without the necessary skills, available bandwidth and resources, maintaining a website can be a time-sink. And it’s important to get experts for WordPress too. While it’s an easy platform for most developers to quickly learn, the ones who specialize in it can help you make the right decisions. And when there’s a bug or an issue, a WordPress expert is better placed to find a solution quickly. Running a successful WordPress website involves more than just what happens in the front-end. There is a lot of regular work required in order to keep the site ticking over, running at peak performance and most importantly, remaining secure from hackers and malicious scripts. WordPress has been a target for security exploits, not because it’s vulnerable but out of its sheer popularity. Being in the limelight makes WordPress maintenance and site updation a very important aspect for any WordPress website. Your website is fundamental to the success of your overall marketing strategy. It cannot be launched and then ignored. It will often be the first impression a potential new client has of your business since people often research a company’s website and social media sites before taking further action. WordPress Maintenance providers help take these tasks off your plate so that you can concentrate on those that matter. A poorly maintained website can become slow, error prone and unreliable. WordPress website maintenance can be a challenge if you aren’t technically sound and can be time-consuming otherwise. Constant WordPress core, plugin, and theme updates, backups, optimization and development are taken care by WordPress maintenance providers. There are a huge number of WordPress website owners out there who don’t know how to properly maintain their site. Whether it is due to ignorance or simply a lack of knowledge, they do not have the know-how or the inclination to keep their site up to date. A natural need for WordPress maintenance services has grown out of user neglect. Like all websites, developing a WordPress site is a process. It doesn’t end after you register a domain name and pick your first theme. There will be things that need tweaking and maintenance. WordPress maintenance providers are your ideal solution. 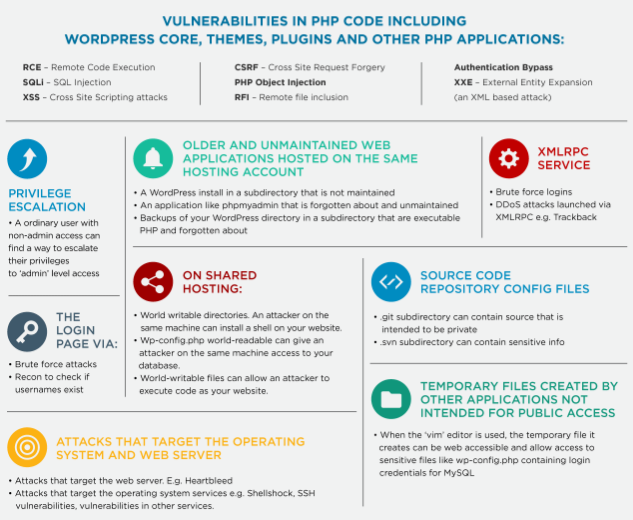 If you’re still wondering why you should be getting yourself WordPress maintenance services, take a look at how ‘Updating WordPress Plugins Can Secure Your Website From Hackers!’. Vulnerable plugins can result in compromised sites. Plugins are just the start. Managing a site, regularly backing it up, optimizing performance and SEO, making sure the site is secure and custom development cannot be managed parallely unless you are ready to spend all of your time just taking care of your WordPress website. Maintenance tasks are essential for successful online business but they don’t add ROI themselves. #WordPress Click To Tweet WordPress Maintenance providers have a skilled set of developers who specialize in WordPress security and WordPress website maintenance. So you are either going to have to learn everything about WordPress Maintenance and Support and fix those bugs yourself, or you could pay the experts to do them for you. 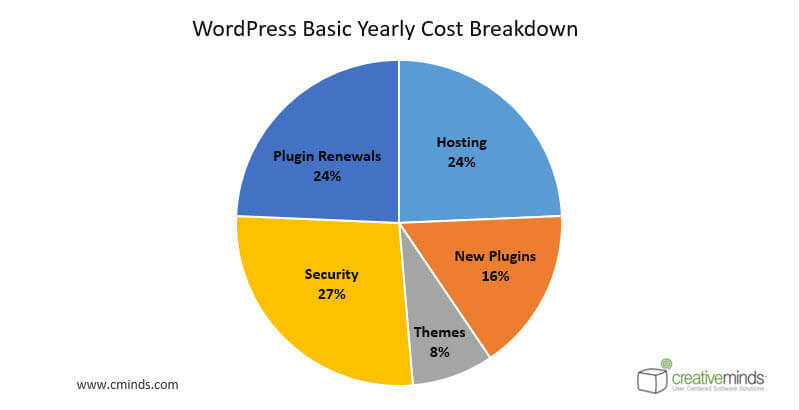 WordPress support providers offer maintenance plans, that usually consists of a list of services and a specific rate (charged monthly or annually). Plans vary with prices depending on the companies and the services they offer. Now get a 20% off on your first payment with the most reliable hosting service – WP Engine! Keeping all these things in mind we decided to bring to you the list of top 30 WordPress maintenance providers and what they have to offer! DevriX builds custom and reliable digital solutions on top of WordPress and enhances them in the long run. They focus on quality and solve complex technical and business problems. Plans & Pricing: Contact Them To Get A Quote! WP Copilot is a team of Melbourne-based WordPress experts. Focused on helping businesses get the most from their websites without the tech headaches, the team has over 21 years combined experience in the website design industry. In 2012, WP Site Care noticed a pattern: Past web clients were constantly coming back to them, needing help with best practices like site updates, security, and other support requests. They figured out how to provide these important services at a price pro bloggers and small businesses could afford, and WP Site Care was born. Want your plate to be only filled with items you like? We will help you take tedious services like support and maintenance of your website off your plate with WPCruiseControl. What started as the brainchild of visionary entrepreneur Tevya Washburn, further developed into a full featured WordPress maintenance service. They are strong supporters of WordPress and have been hand-crafting, managing, and maintaining websites on WordPress since 2009. Content Edits & Updates, Amazing Support, 24/7 Monitoring, SendGrid Email Sending, Monthly Reports, 5-Star Reviews Marketing, Performance Scans, Speed Optimization, Security Hardening, Spam Filtering, Cloud Backups, Safe Updates, Daily Malware Scans, Malware Removal, Premium Plugins, Consulting. Ever wish someone would just give you regular updates on how you are doing and what you could do better? I Witness Design maintains your WordPress site so you don’t have to do anything yourself. With WP Minder, all the technical things are handled for you. That includes frequent off-site backups so that if your site gets hacked, it can be recovered quickly and easily. It includes keeping WordPress and plugins up to date. FixMyWp’s WordPress maintenance plans are ideal for those who want to get away from their site-related everyday tasks and focus on growing their business. ClickWP was born out of the need for reliable and dependable support for individuals and businesses using WordPress. They can solve your WordPress problems, quickly and affordably. ClickWP specializes in solving WordPress-related problems of any kind. WP Buffs is your new Chief Technology Officer and technical WordPress partner. When it comes to your website, they’ve got your back 24/7/365. Everything they do is driven by customers. Barrel Roll is professional, friendly WordPress maintenance provided by a team who knows WordPress. We take care of things like updates, backups, and security so you can do what’s important to you. Total WP Support is a tight-knit team of website designers, developers, and online marketing professionals, which together provide an all-in-one web design agency. Bright On WP is a creative WordPress Agency offering the complete package of digital services, from Website Design and Development through to SEO, Social Media, Hosting and WordPress Maintenance. The WP Butler takes the stress out of managing your WordPress site by doing all of the hard work for you. Fiddling with backups, updates, maintenance, and security is a thing of the past. WP Maintainer is a professional maintenance and support service for WordPress websites. The service includes free hours of professional WordPress support performed by quality WordPress developers. Founded in 2012, Maintainn provides professional WordPress support and maintenance services. Their knowledgeable team is active members of the WordPress community who have multiple plugins listed in the WordPress repository, have contributed to WordPress core and organize/speak at many WordCamp conferences worldwide. Mangrove Web Development is a team of location-independent developers and designers. From San Francisco to Europe to New Zealand, they work together and remotely, building custom websites for organizations that make an impact. Wurdey is a managed WordPress maintenance platform which automates WordPress updates, security, backups, performance optimization and more. Wurdey takes care of all website maintenance and administration for you, at all hours of the day and night. Harness Media is based in beautiful Salem, Oregon, USA, serving clients all over the world. They build websites of varying levels of complexity, from standard informational business websites to e-commerce solutions to custom projects with hand-coded functionality. WP Maintain is a UK-based team of WordPress experts. The team of WordPress specialists helps businesses like protect their websites and ensure everything is running smoothly all the time. They like to think of themselves as net navigators – ready, willing and able to circumnavigate the globe with you at the helm. WordPress support is what they do. They want to make sure you have the best user experience possible. WisdmLabs was founded back in 2012. Their mission has always been to create value for all stakeholders. And in keeping with this, they’ve worked passionately to create quality applications for their clients and build sustainable careers for their colleagues. WP Radius is a WordPress Support & Maintenance service. As a business owner, your time should be spent running your business, not trying to keep your website up and running. They take care of every aspect of your website so you can do what you do best. WP Tweaks empowers people, allowing them to improve their websites without having to worry about WordPress. Gain peace of mind with their WordPress maintenance, support, and tweak service. Wplift is operated by Kooc Media Ltd. A UK-based internet company which operates a number of different websites, including the popular blog about WordPress WPLift.com which has been providing WordPress help & tutorials since 2010 and ThemeFurnace which is their premium WordPress Theme shop. GoWP started out as a web agency then became a dedicated support team that would maintain sites and helps site owners take them further. Scheduling backups, monitoring security, and resolving technical glitches may not be everyone’s cup of tea but it sure is theirs. WP Shrug was founded by Steven Watts in 2015. Based in Cambridge they serve clients throughout the UK and provide WordPress support, site care and small fixes for charities, not-for-profit organizations, individuals & businesses. Newt Labs is a Cambridge-based company who serves clients throughout the UK. Their proactive WordPress support services enable website owners to focus on creating content and growing their business. Wpmatic is a professional support service for all issues related to WordPress. They are here to help everyone set up their WordPress sites properly and keep them live and secure. Simply focus on growing your business and they’ll take care of the rest. They are the folks behind TeslaThemes, with a vast experience in WordPress development, design, and support. Valet is a distributed team from diverse backgrounds. They build quality and create with authenticity. When it come to concepts, the end user is always right. They’ve spent years honing their craft. Their valets are artisans, industry leaders, public speakers & support the WordPress community. Plans & Pricing: Contact Them For A Quote! Capsicum Mediaworks is a WordPress Agency based in India having 20+ dedicated individuals solely focused on providing customers with endearing designs and innovative WordPress services. Capsicum Mediaworks excels in creating innovative WordPress Websites that are user-friendly & cross-browser compatible. WP Support Team is here to take care of the technical aspects of your WordPress Investment. Small fixes, performance optimization, security enhancement, backups and much more. They provide WordPress Support Services, so you can focus on running your business. Development Support Maintenance: These WordPress companies focus on providing ongoing WordPress development support for clients who need a lot of custom WordPress work beyond just updates and security. Pixelmattic’s WordPress Retainer plans do just that. Small Fix Maintenance: These WordPress support agencies focus only on the small job. Plenty of bloggers and small business clients need help with odd jobs and their 24/7 WordPress assistance can be of great help. WP Curve and Wp Fix It solve any small issues that take about 30 minutes to fix. Hybrid Maintenance: These maintenance providers offer the best of both worlds. WP Matic and GoWP include small fixes as a part of their maintenance plans. WP Sitecare and WP Copilot offer development hours along with their maintenance plans. There are also companies that provide customizable maintenance plans and lets you choose what your website needs! The WP Butler allows you to build you own plan or choose from their recommended plans. As WordPress continues to expand, people are turning to WordPress maintenance services to provide support for their site outside the scope of support they might receive from their managed WordPress host or Plugin/Theme provider. WordPress popularity and community have put users in front, and WordPress maintenance services are just one facet of the whole ecosystem. WordPress website maintenance services take away the worries attached to website ownership. See how Pixelmattic supports a media publisher with ongoing WordPress development support and consulting. Let us know what you thought about our post. Do you have questions that are still unanswered, leave us a comment.